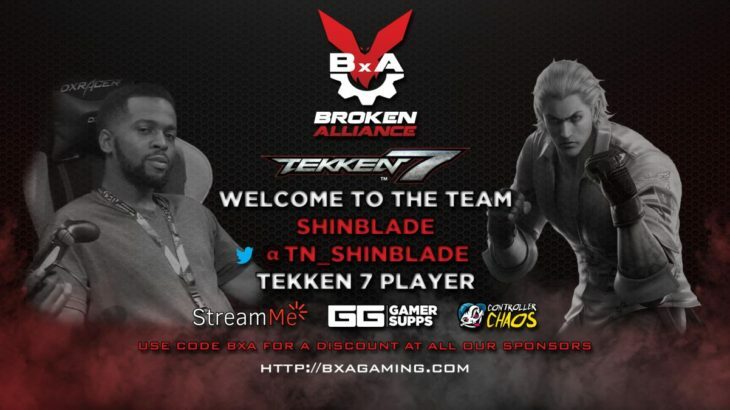 BxA Gaming is excited to welcome a new member to our Tekken 7 team: please welcome, Shinblade! Shinblade is known for his Steve play in Tekken 7, as well as his work with the Tennessee tournament Kumite in Tennessee. His work ethic both in game, and for the community, are second to none and he has the results to back it up. Watch out for Shinblade and his Steve to be making waves in the future for BxA. Welcome to the BxA Family Shinblade! We are very excited to work with you! Bless the #BxAFam for all the love and support.